The Activity-on-Node (also called Precedence Diagramming Method) is a method that uses the nodes or boxes to represent activities and the arrows to show the logical dependencies between activities. The activity information is written in the nodes, it is usually numeric. Each activity has a unique number. The Activity-on-Node (AON) that shows which activities must be completed in order to other activities will start is called “finish-to-start”. It is the most used relationship. This sample shows the Activity on node network diagramming method. It was created in ConceptDraw DIAGRAM diagramming and vector drawing software using the Seven Management and Planning Tools solution from the Management area of ConceptDraw Solution Park. 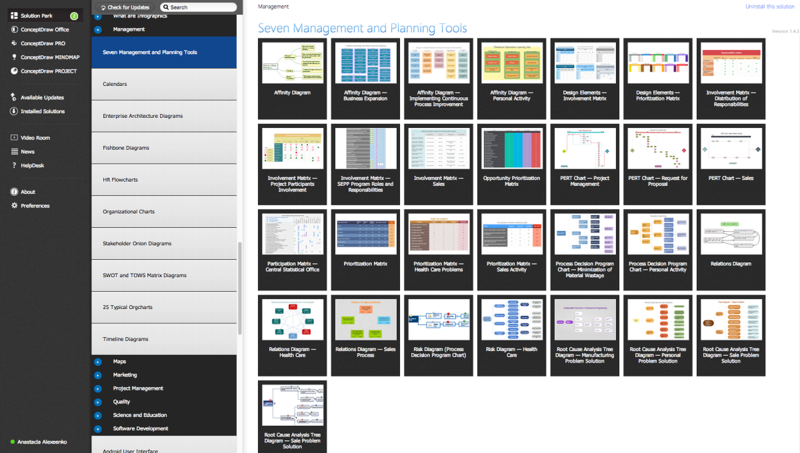 Use the ready-to-use objects, templates and samples from the Seven Management and Planning Tools Solution for ConceptDraw DIAGRAM to create your own professional looking activity on nodes network diagrams quick and easy. 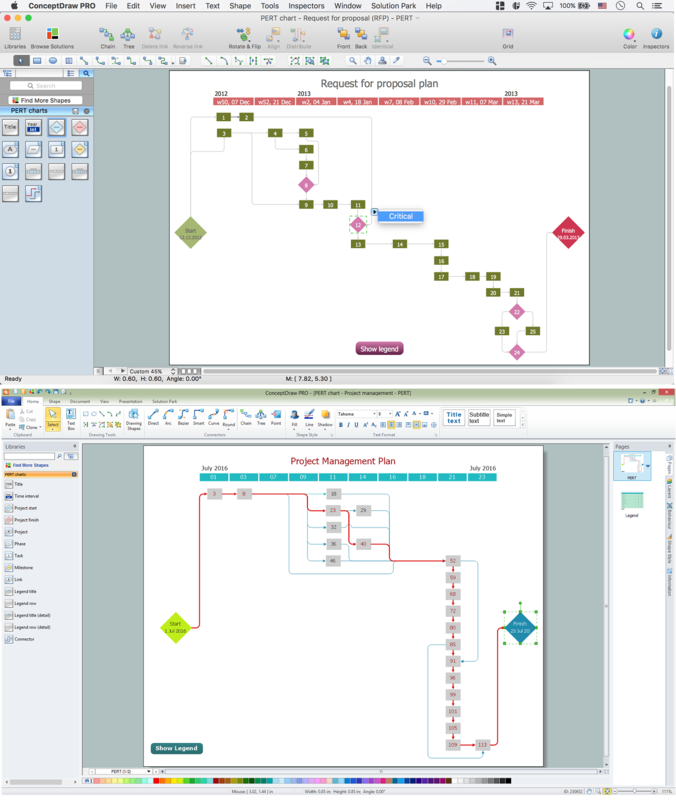 The activity on nodes diagrams produced with ConceptDraw DIAGRAM are vector graphic documents and are available for reviewing, modifying, and converting to a variety of formats (image, HTML, PDF file, MS PowerPoint Presentation, Adobe Flash or MS Visio). This sample shows the activity on node (AON) network. The social network analysis (SNA) is the analysis of the social networks, it analyzes the social relationships in terms of network theory that uses nodes and ties. The nodes represent the activities and are displayed as circles labeled with the activity number and completion time in brackets. The nodes are sequentially connected, the ties are represented as lines.